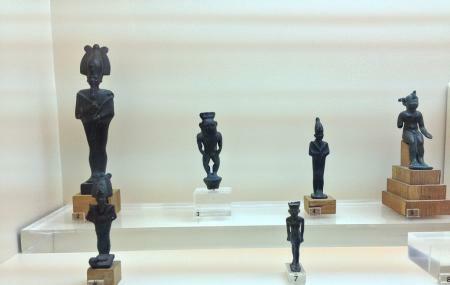 This museum is an ideal place to visit if you wish to study the Greek civilization through the remnants and objects that state their own stories. Housed in the grand Michaleas Mansion, the Kanellopoulos family collection exhibits Byzantine icons, jewelry, and Mycenaean and Geometric vases and bronzes over the period from 3rd century to 19th century. Showcased in chronological order, the objects over here are emblems of Greek art and civilization that has been otherwise deeply buried in the pages of history. The cult objects here belong to Cycladic, Minoan and Mycenaean cultures. Do visit this museum if you wish to utilize your time amidst the objects of art and architecture! This museum is currently closed for restoration work. How popular is Kanellopoulos Museum? People normally club together Socrates' Prison and Hellenic Children's Museum while planning their visit to Kanellopoulos Museum. Small selection spread over a few rooms. The Byzantine section was closed when I visited so it was hard to assess how big that is. Only the classical section was open. Very educational for greek and foreign school kids. Program tutors are great, very kind and helpful!